Clean, tidy and adequate but lacking towels. No seating area to relax after long drive. Well placed for onward drive to ski resorts. Good selection of food outlets in the vicinity or short drive. Would stay again. We were checked in very efficiently and found our room to be clean and tidy. I would have liked there to be a plug in the bath, but there was a shower which was ok.
Room 22 was perfect which luckily my children were staying in. Room 23 was absolutely disgusting and bearing in mind I was just recovering from a chest infection , the smell of smoke was unbearable keeping me up all night coughing! I found the cleaner was very helpful and found an electronic air fresh device which masked the smell but was still present in the bedding/room. . Smoking is obviously a problem at this hotel as there are many posters around stating a €65 fine and lots of cigarette ends which was not what was expected.. (I have photos) Not what I expect from an ibis hotel as I have stayed in a fair few and all been great! There was no one to speak to at check in or check out .. utterly disappointed I await your response .. Regards Karen H.
The car parking was excellent. The location off the motorway, close to the Alps was excellent. There was a great family restaurant nearby. Breakfast was perfect for our needs. The bedroom was clean but the bathroom felt a bit tired and in need of a thorough clean. There was no plug in the bath. We will stay again. All very easy with friendly staff, good parking, breakfast, a clean spacious room and bathroom. My only suggestion would be to fit blackout blinds as given the very bright lights outside I kept waking through the night thinking it was morning. The curtain was quite heavy but still let too much light in. We’ve stayed in this hotel previously only so that we can get up to the ski resort to avoid traffic. However, the rooms are not well insulated and are therefore very noisy. Also, the rooms are very expensive for what you get. Room itself was clean and comfortable but we were woken up by people in the corridor and noisy metal doors banging. There should be better soundproofing, such as rubber seals around the doors. A hotel which does not allow you to sleep fails the most basic requirement. Not to much positive to say, besides the rate is cheap. But the room was very ordinary and bland. The room was not very soundproof, could hear noise from the hall, reception, and neighbors. Breakfast buffet only average .. all in all below average, but proberly okay for a 2 star hotel! 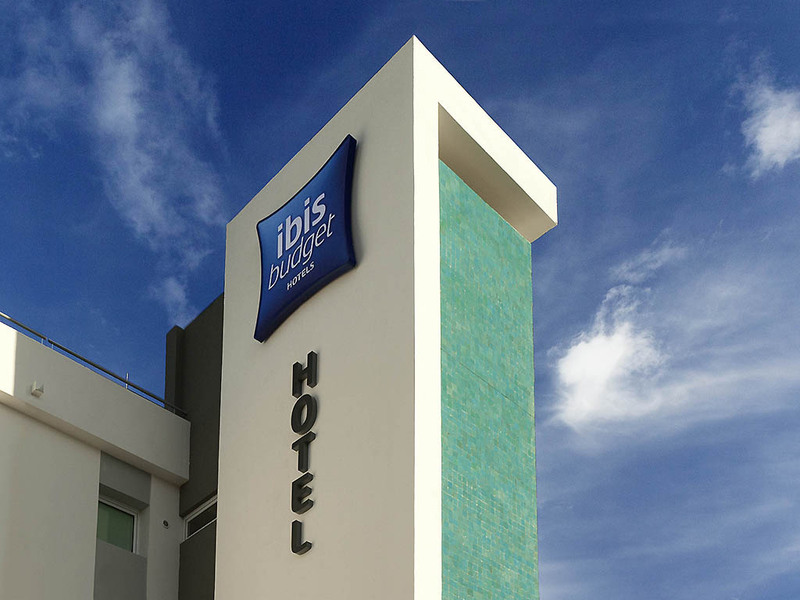 I have stayed in lots of ibis and ibis budget hotels. This one is physically ok but poorly managed. The corridor on floor 1 was full of cigarette smoke when we arrived c10pm. Today the cleaner aired that corridor so knows it is happening. It stinks, affects health of guests, is not meant to happen and it is unsafe as someone must have switched the smoke alarms to allow this. This is a fire hazard. Having no staff on site makes this possible. My son’s bed (the bunk above wasn’t as clean as the beds normally are. Check in is rubbish and stressful when unsupervised and lack of staff at night meant we didn’t notice breakfast finished at 9.30. Reluctantly we were allowed to eat things that were left. There was a bath but no plug so I had to make one of my own to have a bath. Nice design and newly refurbished. Just a shame about the smell in the bathroom. The bathroom was immaculate but constantly smelled of drains. Second time I have stayed on a Friday night on the way to the alps. Easy check in bed OK but difficult to understand the heater in room and why no shower curtain? Rooms were fine. Breakfast queue far too long so we had to leave without breakfast. I have left something a the hotel and am unable to get a response from the hotel as to how I can retrieve it.